Welcome to Charleston! 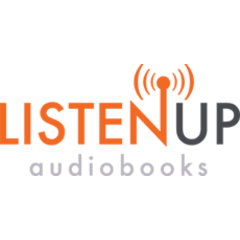 Thank you for joining us on today’s tour, Charleston at War: The Conflicting History of the Holy City, brought to you by ListenUp Audio. My name is Claire and I'll be your guide today. This tour takes approximately one and a half hours to complete. Our tour will include stops at several museums and cathedrals, so feel free to explore them at your leisure. You can pause the tour at any time and restart whenever you’re ready. I'll be providing you with clear directions, and the audio will start automatically when you get close to each point of interest. If a site is closed or your path is blocked, simply go around it and the tour will pick up at the next location. Don't forget to stay aware of your surroundings at all times and obey all traffic signals. Okay, I think weʼre ready to get started. Take a look around. You should be standing at 122 East Bay Street, right in front of the Old Exchange and Provost Dungeon. You are? Excellent! Welcome to Charleston, a southern city steeped in history, and known for her well-preserved architecture, incredible restaurants, and rich culture. Author Pat Conroy said of Charleston: “You could forsake the Lowcountry, renounce it for other climates, but you can never completely escape the sensuous, semitropical pull of Charleston and her marshes.” Let’s go ahead and begin our journey back in time. Easy to follow, interesting and spooky stories.